Sitting in a Lloyd Loom chair on a Narrow Boat, moored on the Kennet and Avon Canal, a dead man stares into oblivion. Who is he and what is his name? Chief Inspector Michael Lambert from Thames Valley Police Authority unravels a murder case which stretches from Reading to Bulgaria, South Africa to Belorussia, and finally Taiwan to Peru. What at first appears to be a straightforward murder is revealed to be part of an international manhunt, the result of a major arms deal which has gone horribly wrong. The story begins with the discovery of a small mobile phone on the narrow boat and ends with the murder of a Chinese shipping magnate in the streets of London. Will anyone’s life be the same again and how will our provincial policeman cope with these different layers of intrigue? Judas Goat – The Kennet Narrow Boat Mystery by Patrick Brigham is one of the two mystery novels published by the author this year. 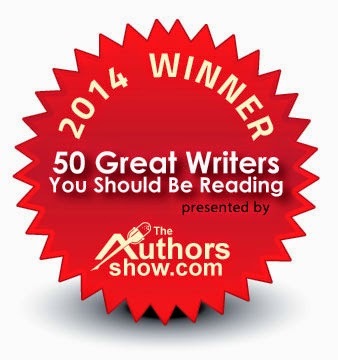 When I have received a request to review the book and also interview the author, I agreed for a couple of reasons. While the author was born in England, he has also lived for several years in Bulgaria. I was born in Romania (Transilvania – yes, yes, Dracula’s home, lol), which is an ex-communist country located right next to Bulgaria. I literally spent my first 21 years there before we emigrated to Germany the first time we got the opportunity to do so. While I never got a chance to actually visit Bulgaria, the situation couldn’t have been much different from what we experienced day in, day out back at home. Thus I truly welcomed the chance to read and review the book because it got me curious about his view on this ex-communist country. In the meantime he has a very strange murder case to solve. A body is discovered on a boat in his area of jurisdiction, and initially the task seems simple enough: identify the murder victim and then go from there. However this is where the complications start: the body is not so easy to identify and as it seems, he might have not even be a local, but someone with ties to another country in Europe, Bulgaria. CI Lambert, to get to the bottom of the case and also to get away for a bit from his nagging wife, asks permission to fly to Sofia, the capital of Bulgaria, to try to find out who the murder victim is and why was he found in England. This was a case that took Lambert across several countries that were very beautifully described. In fact I found the whole novel to have a rather lyrical quality which I admired. The people really came to life in the author’s hands and the places gave me a long lost nostalgia for my own place of birth. The truth is, life was (and I suppose still is) difficult in the communist regime. People have it hard and they have to live with it. Most of them can’t afford all the luxuries that the Western world so easily offers to their kind, and I find that this makes people a bit more cynic and seeming more harsh to outsiders. And I can very easily imagine the culture shock that Chief Inspector Lambert got soon after entering Bulgaria. It is, afterall, Eastern Europe, which has different values, customs and philosophies from those found in the West. 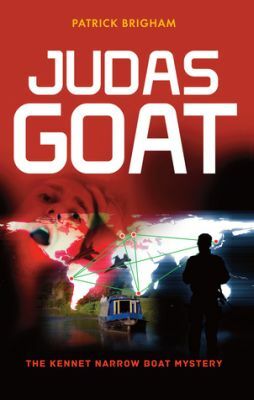 Currently Judas Goat – The Kennet Narrow Boat Mystery is a stand alone novel, however as I’ve been told in the interview with the author Patrick Brigham, it might get a sequel afterall. I truly enjoyed reading about detective Lambert, and seeing how at the end of the book he was about to do a career – and life – change, I’m really curious about where he’ll end up and what interesting cases he will be given to solve next..